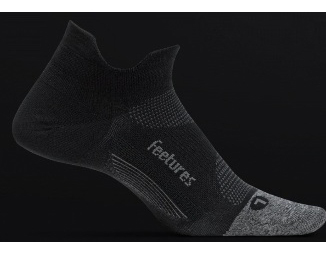 Feetures’ most technically advanced sock. Designed around their patented Targeted Compression for superior comfort and support plus Ultra Light cushioning that takes up minimal room inside the shoe.Patented Sock-Lock Technology to provide targeted compression where it’s needed most. • Anatomical design enhances fit, delivering maximum comfort and protection by eliminating blisters. No Show Tab height which sits below the ankle for maximum versatility.